Behind every successful marketing campaign is a strong marketing strategy. Professionals to our bones, we’ve been developing winning, long-range marketing strategies for New Hampshire, Massachusetts and national companies since 1999. We’ll dig deep to uncover the internal and external factors that impact your progress. We take the time to identify your target markets, show you creative ways to reach them, and help you get around potential roadblocks to meeting your goals. Where the rubber really meets the road? With Scribble, it’s the creative execution phase. Bold. Memorable. Sustainable. We’re proud to say that our creative marketing solutions are all these things. Plus, they’re built to get you ahead for the long haul. For more information on a Scribble marketing strategy, contact us today! Project:Full spectrum of marketing services to include logo design, slogan development, brand development, print collateral design and development, fully content managed websites, intranet and online catering order system. 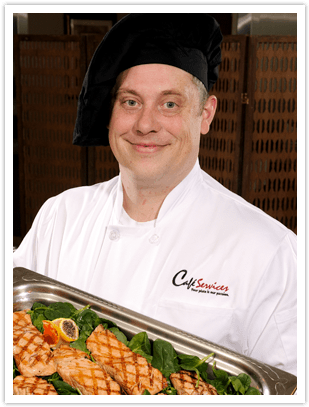 Café Services is a privately owned cafeteria management company serving companies throughout the US. Developing content marketing strategies to reach targeted NH consumers can have a huge reward for local businesses. Web Design Checklist - Is Your Design Boosting or Sabotaging Your Conversion Rate? Being proactive and creative with review sites and local profiles can be a profitable marketing tool for any business in a local marketplace. As consumers voice their opinions about companies and products online, maintaining a positive online reputation is imperative for business success. Designing a web site involves a large time & monetary commitment so why not do it right from the start? This article outlines strategies that New Hampshire-based business owners need to consider for the optimal web site. This article outlines some of the most modern web design elements being used now. If you have a New Hampshire business, this article will show you if your website is up-to-date or if it could use a makeover in 2013. A professionally designed logo is one of the most important marketing tools for a company. It visually represents so many things about the company and delivers it faster than a single line of text can be read.